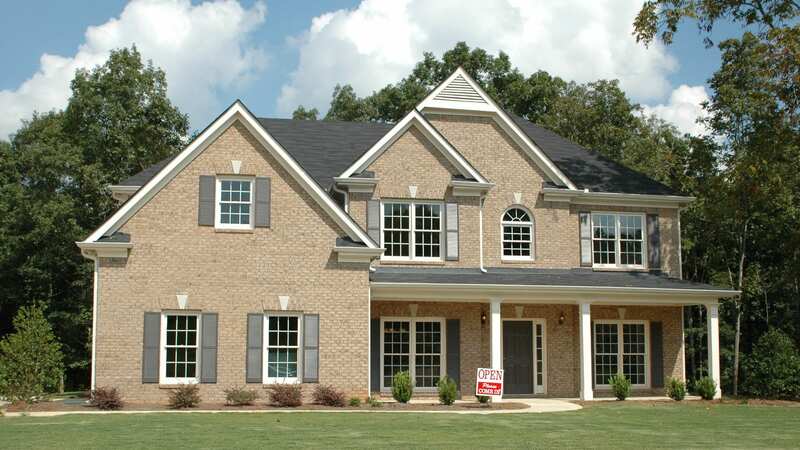 Real estate business has assumed great proportions in recent years. You need a tremendous amount of marketing options to stay afloat in this competitive market. Having access to the various WordPress Portfolio Themes would do a great deal of benefit to the real estate professionals. Naturally, every WordPress has to be compatible with all the possible internet-accessing devices. These themes are no different. The custom widgets and the slider options are necessary to enhance the attraction quotient. Ideal for people who wish to rent out houses or place advertisements of houses for rent, this is a fully editable theme with a 100% responsive design. The availability to more than 80 shortcodes makes web page building an easy job. WPML compatibility ensures that you can view the theme in many languages. This is a highly customizable theme. 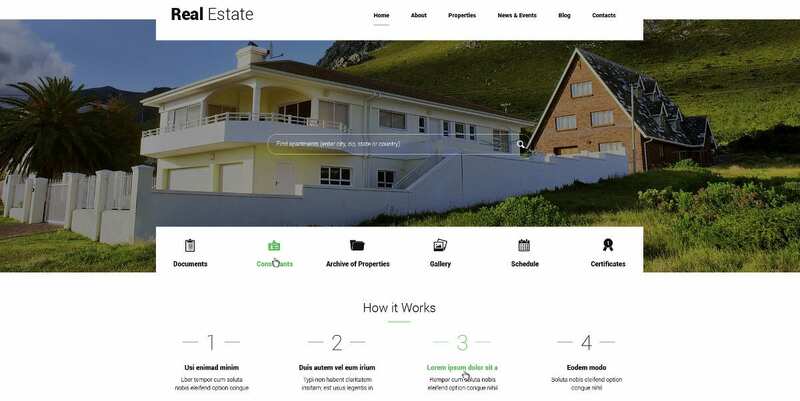 One of the Best WordPress Themes for the real estate business, you have the facility of automatic geo options. The retina ready features make it an attractive theme. The fully responsive modern theme comes with features like a visual composer, slider revolution, different header options, and unlimited page templates. WPML support ensures that you can use the theme in multiple languages. Best suited for the real estate and rental industry, this is a highly customizable theme with fantastic editing options. You have access to custom post types making it an easy one to use. The multilingual options and the eighty-plus shortcodes make this theme versatile. The slider options and the customizable typography complete the attractiveness quotient. 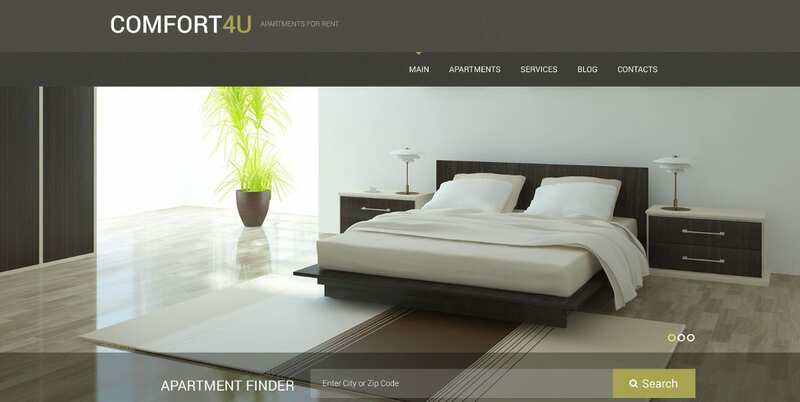 The purpose-oriented design of this Real Estate Theme comes with awesome features. The Visual Composer drag and drop options allow you to build web pages easily without any knowledge of coding. The 5+ homepage variations and the 3+ header variations make it easy to use. You are able to list your property grid or table wise as well. Built with Power, the Cherry Real Estate PlugIn is a powerful theme in all respects. You have the IDX support to fall back making it a customizable theme. The custom widgets add to the attraction quotient. The drag and drop page options make it easy to build web pages. The Live customizer makes the design of the theme very simple. The advanced documentation features make it easy for you to follow YouTube directions to use the theme. You have the advantage of video tutorials. Ideal for real estate agencies, you have access to excellent payment getaways. Easy to install, you have the facility to compare items with ease. This is a highly responsive theme compatible with all devices. 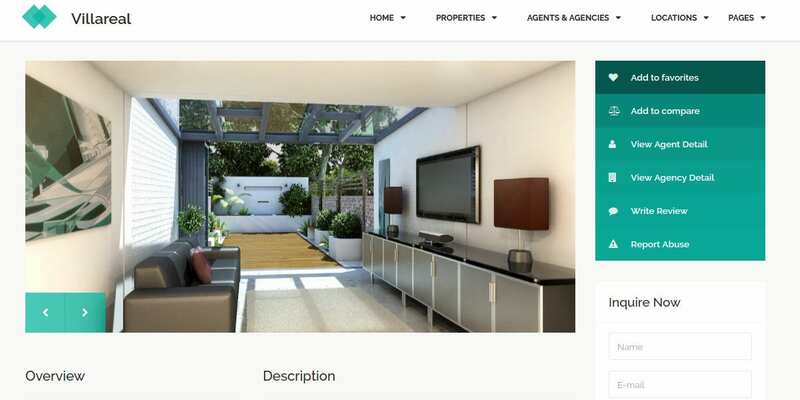 This is a modern real estate business theme with excellent features. 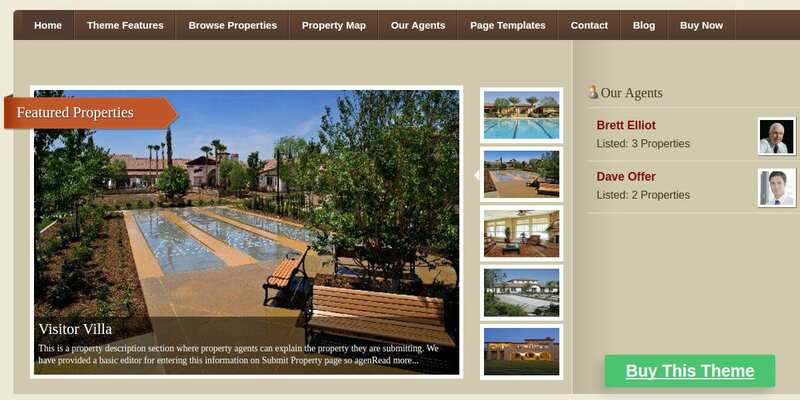 Ideal for promoting real estate projects, this is a fully customizable theme compatible with all devices. Highly attractive to look, this theme is easy to use as well. The SEO friendly nature of the theme allows the interior designing and exterior designing companies to use it comfortably. This is an extensive WordPress Website Real Estate Theme with modern features. Easy to use, you get active support as well. Integration with Google maps allows for easy property management. Adaptability with WPML makes translating into different languages an easy job. The more than 100 shortcodes allow for easy customization of the theme. 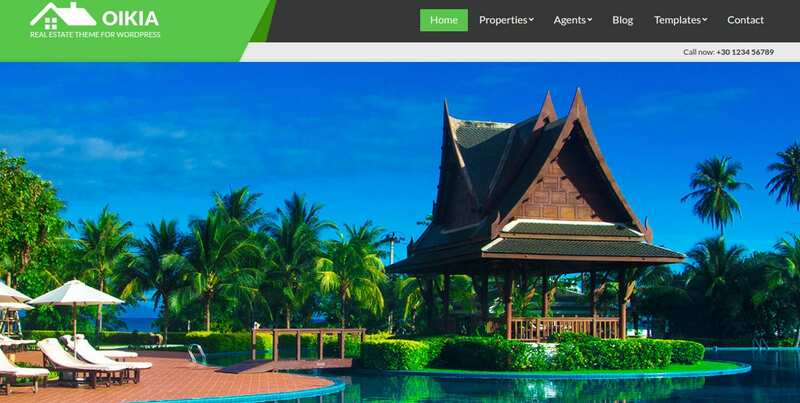 Perfect for the real estate business, this theme comes with a customizable design and some exciting features. The fantastic image slider options make it attractive to view. The search box allows you to search for the properties easily. WooCommerce support ensures that you are able to do business transactions with ease. The responsive web design ensures maximum compatibility with all devices. 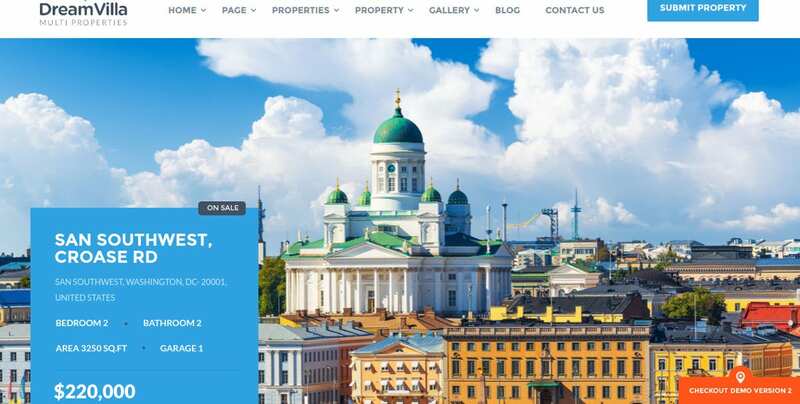 Best suited for the real estate listings, the parallax effect makes it an attractive theme in many ways. The highly responsive design makes it a flexible theme to use. The attractive slider options and the Cherry Framework 3 options make it beautiful to watch and use. Built with Bootstrap, this is a powerful theme in many ways. The auto update and widget ready facilities are some additional attractions. Real estate businesspersons would love to use this theme. The Visual Composer page builder options allow you to build your home pages with ease. The revolution slider and the mortgage calculator are some attractive features. The responsive and retina ready theme is compatible with Google maps. You have great demo variations adding to the attraction quotient. Targeting the real estate market, this is a powerful theme in all respects. You can use the theme for home staging, land brokerage, mortgaging, etc. The 100% responsive layout makes it a clean and stylish theme with excellent support services such as Bootstrap CSS and others. The LayersWP embedded framework allows for easy page building. 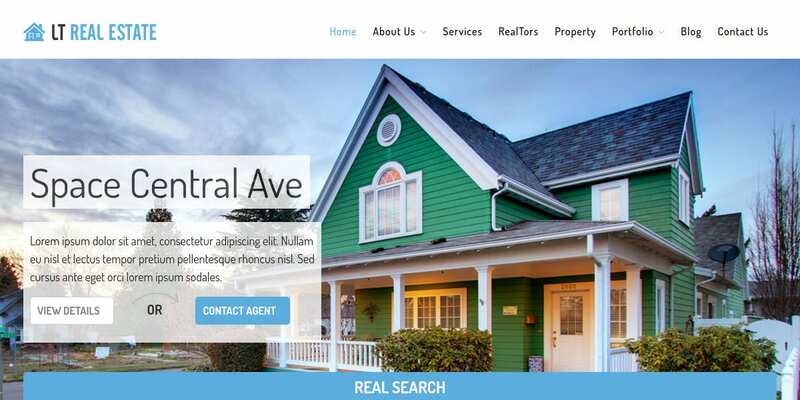 Communicating with potential buyers is very easy with this responsive Real Estate WordPress theme. Equipped with advanced features, this theme is easy to use as well. Contacting an agent and collaborating with him until the end is easy. The easy extensive theme options include the multiple language compatibility. The quick gallery, sidebars, and widgets make this theme attractive. 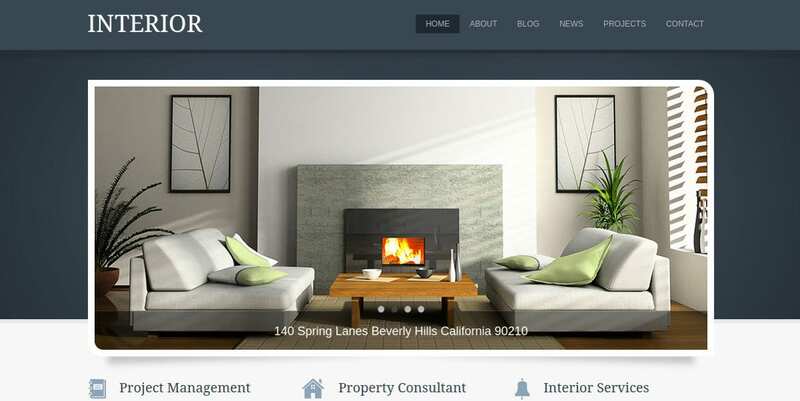 The Realtor Services WordPress theme is perfect for the real estate professionals. With a great responsive design and parallax scrolling, you have the backing and support of the Cherry Framework 3. Powered by Bootstrap, this responsive theme has fantastic slider options. Accessibility to the innumerable Google fonts makes this theme attractive. 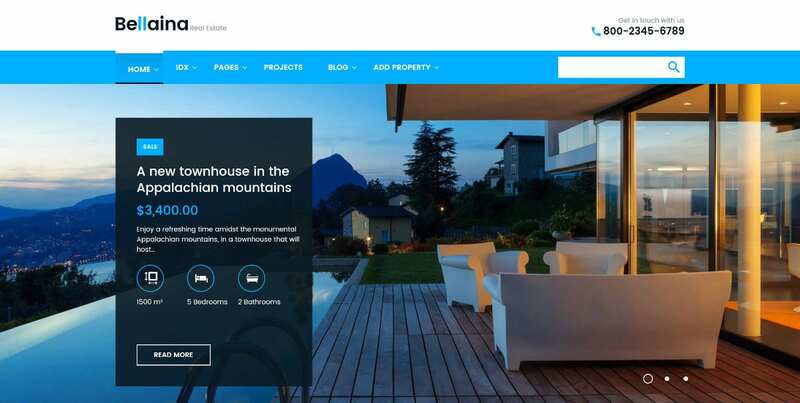 Powered by Bootstrap, this real estate theme is compatible with all devices. Accessibility to Google fonts and the excellent facility of changing colors make it a beautiful theme. The slider revolution features make this theme attractive to view and easy to use as well. The Visual composer with its drag and drop options allow for the perfect building of web pages. 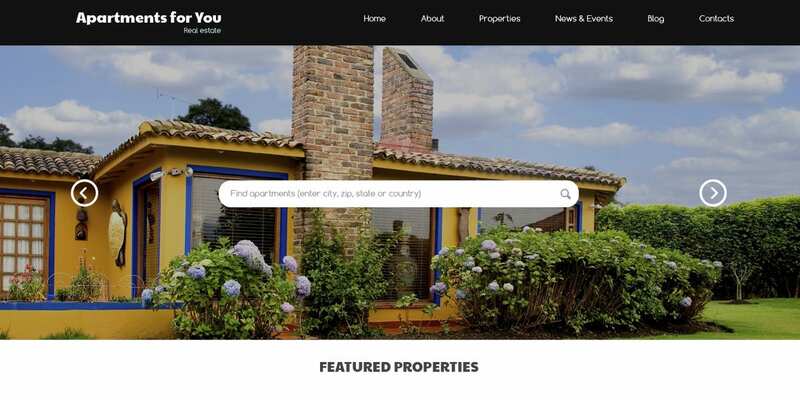 The fantastic front and back end features of this high-quality real estate theme make it great and easy to use. The SEO friendly features make it one of the best Professional Themes in the field. The custom widgets and the multiple language facility add to the attraction quotient. Accessibility to Google fonts and the responsive design are features that can entice everyone. The unique layout design enables to promote the business at a higher level. The Drag and Drop home page options make web page building easy. Ideal for the real estate professional, accessibility with the Google Maps is imperative. The custom widgets and slider options make this theme beautiful to watch and easy to use. The multiple color system adds to the attraction. Managing real estate properties using this theme would be very easy. You can search and list properties with ease. The custom widgets and the various theme options make it beautiful. The easy-to-use admin panel with more than 600 fonts and 380 retina ready icons attracts the professionals in an enticing manner. 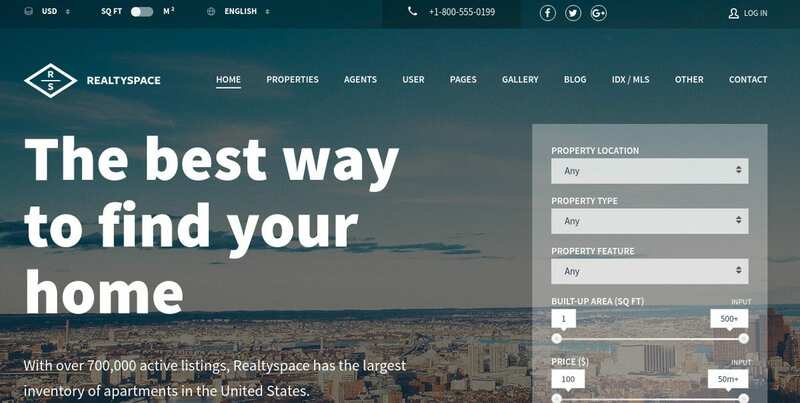 The powerful back-end features of this real estate theme provide a clean look and make it easy to use as well. The property listing options are of high quality. You have the facility to incorporate innumerable data making this theme very useful for the real estate professionals. Accessibility to Google maps adds to the utility quotient. We have seen some exquisite Real Estate Website Templates above. Each one of them is attractive in its own way. The excellent color options and compatibility features make these themes very attractive. The themes are highly customizable and easy to install and use as well. The Bootstrap framework makes each theme a highly responsive and powerful one.